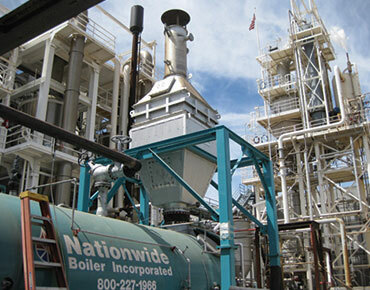 Auxiliary Equipment Rental | Nationwide Boiler - Nationwide Boiler Inc. 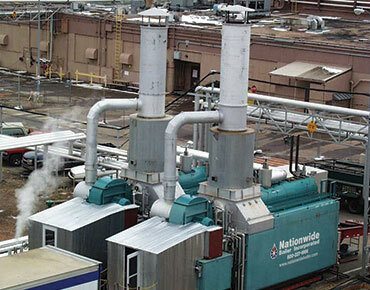 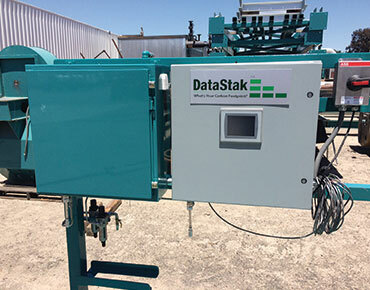 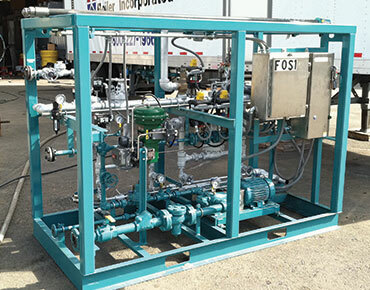 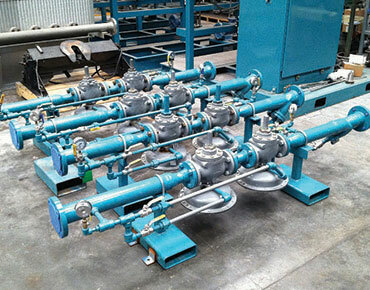 In addition to the variety of boilers available for rent from Nationwide Boiler, we also maintain a large inventory of auxiliary equipment needed to complete a temporary or permanent steam supply system. 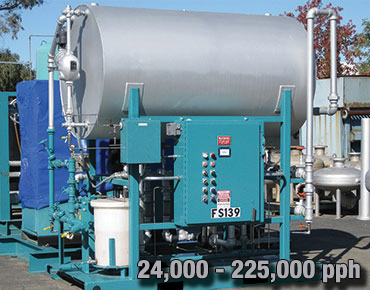 Among these are mobile water treatment vans, skid-mounted duplex water softeners, deaerators, CataStak™ SCR systems for ultra low NOx emissions, EconoStak economizers, and more. 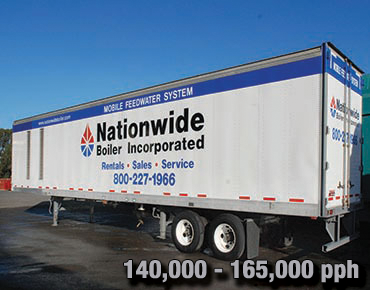 You can depend on Nationwide Boiler to be your single source supplier for everything you need to quickly get your steam system up and running again with little downtime – saving you time and resources. 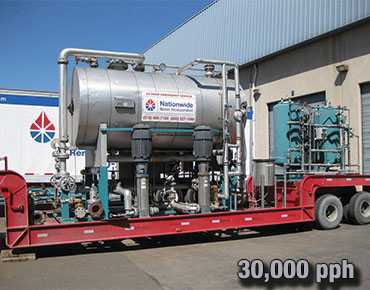 One 140,000 lb/hr mobile feedwater van and two 70,000 lb/hr trailer-mounted boiler were supplied to Kentz Engineers and Constructors as part of the Pearl Qatar Shell Gas to Liquids project (GTL). 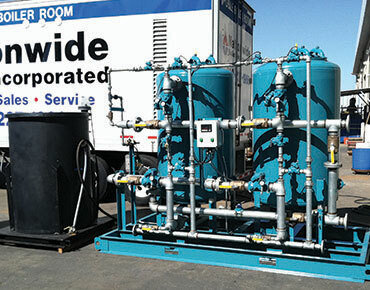 The units were loaded on the Mignon ro-ro ship (roll on/roll off) at the Port of Galveston, TX where they were on transit for over thirty days, before reaching their final destination in Doha, the capital city of Qatar, situated in the Ad Dawhah municipality on the Persian Gulf. 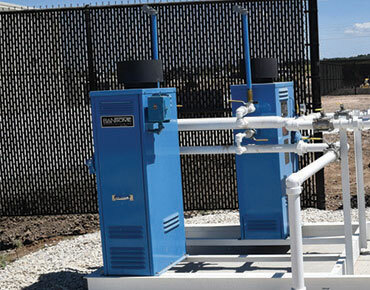 The boilers and auxiliary equipment were rented to be used to produce steam for the deaeration of feedwater during initial steam blowing operation, estimated to take six months. 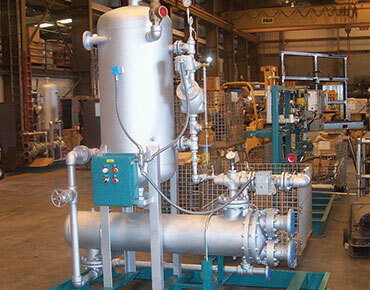 Qatar Petroleum and Shell launched the Pearl GTL project in July 2006. 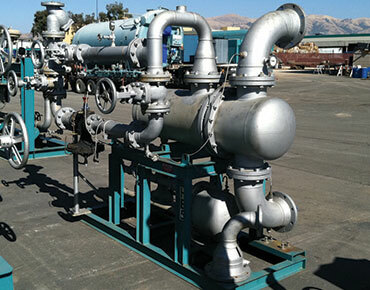 The project includes the development of upstream gas production facilities as well as an onshore GTL plant that will produce 140,000 barrels per day of high-quality GTL fuels and products along with 120,000 barrels per day of condensate, liquefied petroleum gas and ethane.